Received phlebotomy certification in 1991 from Cuyahoga Community College. 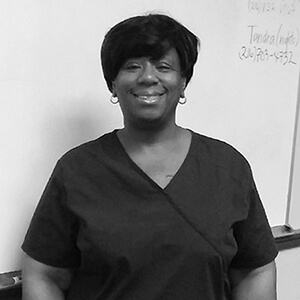 Tandra has 25 years of expansive phlebotomy experience. Her experience expands from pediatrics to geriatrics. She worked in clinical, outreach, dialysis, wellness, and on various clinical studies just to name a few. Meeting and learning about her various client titles and responsibilities is her delight. Tandra is in pursuit of Bachelor’s in nursing possibly Practitioner. Tandra’s love is teaching and encouraging others. 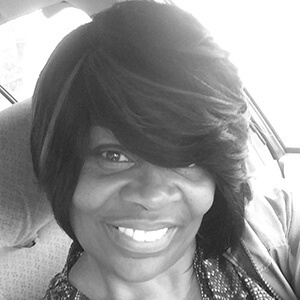 Renee Blackmon currently has her hands in many wellness programs as a biometric screener in the state of Ohio. Renee has an applied science degree as a Medical Assistant. Renee has had her national certification as a phlebotomist since 1992, still currently drawing blood in the Ohio State Prisons, Women Treatment Centers, CDC, as a mobile contractor, for doctors offices, insurance companies and more. And now working for Phlebotomy Training Specialist as an Instructor, Renee has so many experiences and so much excitement to bring to the table.